Straight from Bavaria and right into your heart, it’s me-Schnitzel! 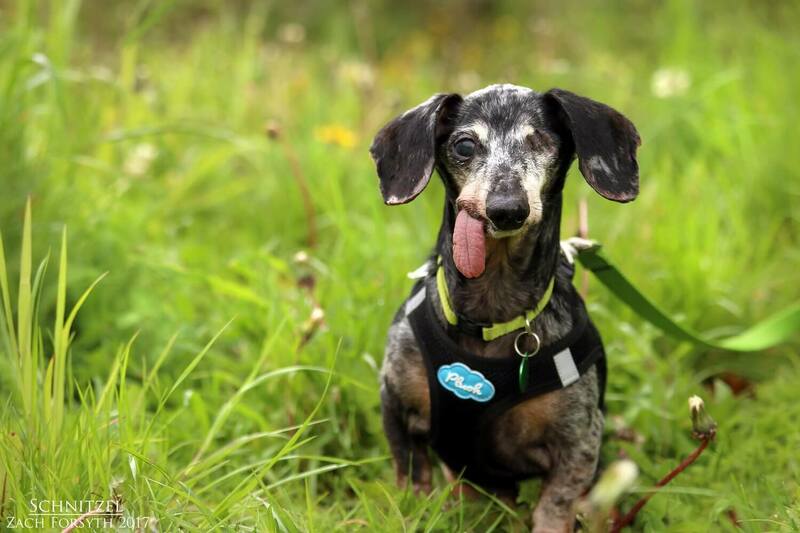 I am a hilarious and super happy 12 year old Doxie with a big heart. Don’t let my age fool you, I am still quite the spunky guy who is sure to entertain. I enjoy my afternoon stroll, followed by a brief play session (those squeaker toys are still a blast!) and rounding out the day with a big cuddlefest. It is always a pleasure to meet new people, puppy friends, and those kitties alike. I just love everyone and everyone loves me! Though I had a rough patch in the past, my resilience and confidence shines on like the sun. Nothing can bring me down! My tail is always wagging as I make my way around the town with my foster mom. I am just one hot dog! Ha! Get it?! I am just too funny. So add a little wiener schnitzel in your life today! Fill out an application, so we can meet. I come to you neutered, vaccinated, and micro-chipped with a recent dental for adoption fee of $200.